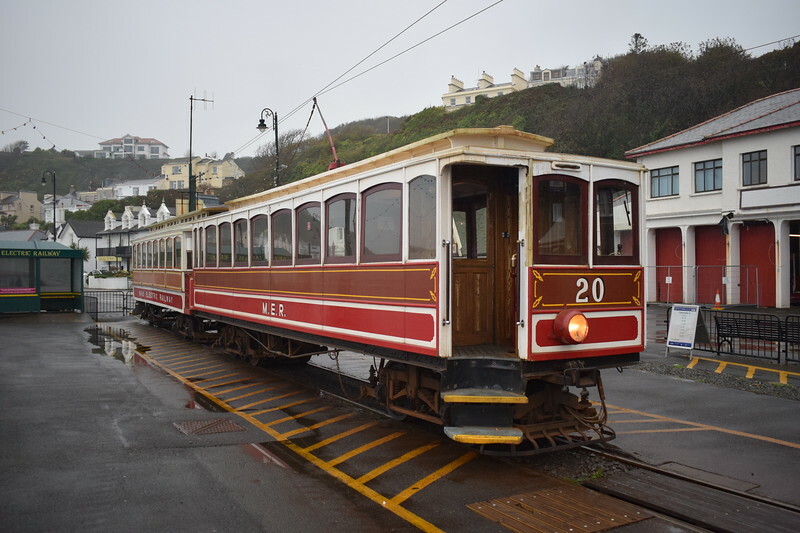 Manx Electric Railway G.F. Milnes & Co. Winter Saloon no. 20 and Winter Trailer no. 57 at the Derby Castle terminus, 14.10.17.